The Maxi-CUBE Classic range sets the benchmark with leading thermal efficiency, combined with optimised strength, durability and design. 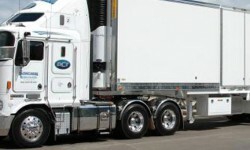 Through gains in modern manufacturing and thermal break materials, combined with a unique ‘cast to gauge’ wall construction, Maxi-CUBE Classic delivers outstanding performance without comprising on tare weight, translating to better payload and fuel efficiency for owners. Available in Ambient, Chiller, Hi-Cube Reefer, Freezer and Reefer models in Lead and Tag, B-Double and Roads train configurations. 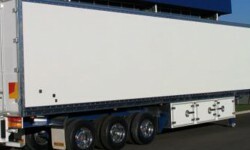 The thermal efficiency of the Maxi-CUBE Classic Reefer sets it apart from the rest. It owes its excellent thermal performance to Maxi-CUBE’s own high performance insulation foam. 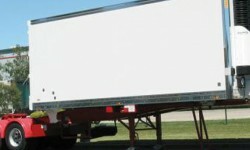 The Maxi-CUBE roll back system gives you more flexibility and makes unloading a breeze. Built to perform at temperatures down to minus 30 degrees Celsius. Maxi-CUBE’s Classic Freezer gives you more of what you want, a wide load refrigeration van, capable of maintaining temperatures down to -23 degrees Celsius. You get more with Maxi-CUBE – with the Hi-CUBE Reefer you get the choice of height and length variations to suit your own requirements. The roll back system of the Reefer Lead Van uses a reliable and proven rack and pinion mechanism, driven by a hydraulic motor. 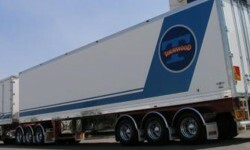 Its wide interior space is useful when carrying fruit and vegetables where the goods are occasionally over pallet width. With a zero to 5 degrees Celsius rating, the Maxi-CUBE Chiller is suitable for chilled goods including dairy and produce as well as dry freight goods. The Maxi-CUBE Classic Dry Freight Van is ideal for transporting goods where high utilisation, reliability and durability are paramount. The Maxi-CUBE Classic Dry Freight Van is the perfect solution for express freight deliveries, grocery distribution and general freight operations. 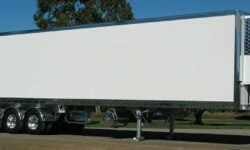 The market’s choice for specialist transport companies, particularly furniture removalists, computer freight specialists and companies that transport theatrical acts etc. You and your drivers will appreciate the convenience and safety aspects of the new air operated swing down meat rail system. You and your drivers will appreciate the convenience and safety aspects of the new air operated swing down meat rail system. Incorporating the very same high standard materials and built quality of Maxi-CUBE trailers, Maxi-CUBE rigid bodies are available in 3 sizes: 10, 12 or 14 pallets.